There was a time when virtually every live sporting event on BBC Television began with the host subtly raising an eyebrow and delivering a line from underneath the most famous moustache in the business. 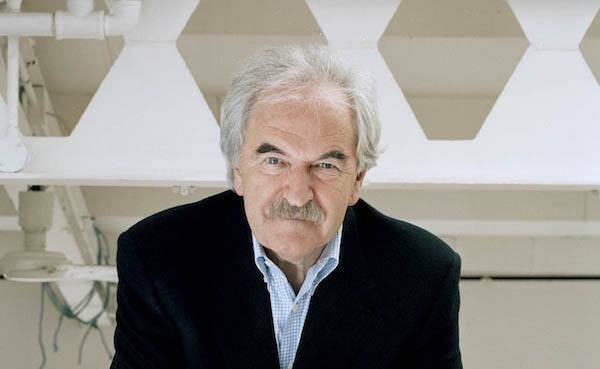 After moving from radio to TV, Des Lynam hosted Match of the Day, Wimbledon, the Grand National, numerous Olympic Games and several major football championships with an unflappable air and a glint in the eye. In 1999 he made headlines by transferring to ITV to present live Champions League football and, eventually, the Premiership. But did Des really begin his career as an insurance salesman? Well I did work in the insurance business but I wasn’t quite selling stuff. I got into it because I needed a job at the time! I was trying to be a journalist early on and it didn’t quite work out. By chance I started writing a bit of freelance stuff for the local papers down in Sussex and one of the first BBC local radio stations to open up was Radio Brighton (now BBC Sussex). I eventually got asked to go along and do an audition to see if I could do a bit of radio for them. It went rather well and I started doing regular broadcasts for them while I was still working in insurance. I had a decent salary and a company car from the insurance job, but in my mid-20s, I swapped all that for freelance radio fees, something like two or three guineas for each interview! While I was there, I did one or two things that went up to BBC Broadcasting House for network coverage. They heard what I said and I was invited to go for an interview. To my amazement I got a staff job, so it was terrific. In a very swift time, I moved from oddjob broadcaster on a local radio station to being a full-time national broadcaster. I was very pleased with myself for a while. Different people will remember you for different things, whether it be World Cups or Wimbledon, Match of the Day or heavyweight boxing on the radio. Is there one event that you look back on professionally with the greatest pride? Is there an event where you think ‘that was my best performance’? Well I could single out a few horror stories, but if you want me to pat myself on the back then I would say I liked the radio boxing commentaries very much, especially following Muhammad Ali around the world. That was a great period of my life. But when I moved to television I think the best football coverage we ever did was Euro ‘96 in England and then World Cup ‘98 in France, We won a BAFTA for the Euros coverage…I’ve never seen the trophy by the way. I think my Editor at the time, Niall Sloane, took it and put it on his mantelpiece where it’s steadfastly remained ever since! The World Cup was a very good BBC production all the way through and I was very proud to be at the head of it as far as presentation was concerned. It was a great period for sport on BBC Television and I enjoyed every moment of it. Then, amazingly, within a year and a half I was at ITV! We’ll get onto that a bit later, but how fondly do you look back on your Match of the Day years, alongside the likes of Jimmy Hill, Terry Venables and, later, Alan Hansen? With great affection and gratitude that I was asked to do it. It came out of the blue for me really because I was doing Grandstand and the head of Sport at the time asked me if I’d do Match of the Day. I asked ‘What’s happening with Jimmy Hill because he’s a friend of mine, we get on famously and I don’t want to kick him in the teeth’. He said ‘We’ve spoken to Jimmy and he’s agreed, but he’ll be the number one pundit on the show instead’. So I rang Jimmy up and asked if he was indeed happy with the arrangement and he said ‘I’m reasonably happy. They don’t want me to present it anymore and if they don’t want me to do it then the only person I’d be happy with doing it is you’. So that was very kind of him, and we worked on together for some years after that and had some great fun. In those days there were only two channels doing football so the pundits became mega famous really. Terry Venables loves telling a story where cab drivers would accuse him of hating Jimmy Hill. He’d say ‘No’ and the cabbie would say ‘Come on Tel, you hate ‘im’. And Terry would say ‘No, we go out for drinks together’ and the cabbie would insist ‘You hate him Tel, admit it’ and so Terry would just give in and say ‘Yeah, I hate him, I hate him’! They actually liked each other very much off screen, but on screen they did very often have opposing points of view and it wasn’t something that we set up. They just did not see eye to eye on a lot of footballing matters. Consequently, it made compelling television. My job was really just to start them off and sit back to watch the argument. You see, I think you watch the pundits today and they nearly all agree with each other all the time which isn’t as good as if you get different opinions. You can’t contrive it, but if it just happens then it’s much more interesting. It’s extraordinary. They think they are the stars of the show I expect! But quite honestly, when I watch live football on Sky I often turn on for the kick-off. I don’t listen to the hour of stuff that goes beforehand. I’ll listen to what they say at half time to see if my interpretation of what’s gone on is similar to theirs (which it usually isn’t). But I do like Graeme Souness and Gary Neville. They are terrific. Match of the Day recently celebrated its 50th anniversary. Do you think the programme is in good health at the moment? I do. I don’t think it can go wrong. It is an institution and has been going all of those years. People love it. I had the privilege of presenting it for ten years and in the days when Jimmy presented it they were getting 10 or 11 million viewers every Saturday night. It was healthy when I did it and under Gary Lineker it’s healthy again. I always say to Gary he owes me money because when I decided to leave for ITV, which was really a commercial decision rather than a career one, I opened the door for him. The BBC were very cross with me for leaving at the time but they didn’t really know I was doing them a favour because Gary was waiting in the wings and he took his chance in front of the camera with the sort of alacrity with which he took his goals. At first, he was a bit tense but that’s the nature of live television. People think you just do it. It’s much easier to answer the questions than it is to ask them and now I really do think Gary is first class. A lot of people can see the day’s goals in other ways now, so do you think the appetite for a Saturday night highlight’s show will survive for another 50 years? The extraordinary thing is, I watch a fair bit of live football, either at the matches or on TV, but to be honest with you on a Saturday night I’ll sit down for that hour and a half to watch the highlights and it’s terrific. All the boring part of it is cut out and you see the bits of the matches that matter, all in a condensed form. It’s all still very attractive and in fact I think in many ways it’s even more attractive because you can have a surfeit of the live games. The other week there were 3 live matches on a Sunday and I watched them all. I could hardly move from the sofa…such an unfit thing to do I know! Two of those matches were pretty dull but if you watched them in highlight form they’d be fine. I watch Match of the Day partly as an old boy of the show, to see what they’re doing, and particularly because I want to see the football served up in a nice easy fashion. What do you make of all the statistics and heat maps etc that are thrown at us by the broadcasters now? Bill Shankly always called football a ‘simple game’ and it should be a simple game really, so I think you can do too much of that stuff. I think there are people who have a statistical approach to football who love all the facts & figures, but I like watching the game. I like the game for the game’s sake. I like to see the action. Like this boy Harry Kane who’s come along for Tottenham. A fantastic player, beautiful to watch. When you made the move to ITV and ‘The Premiership’ programme, Andy Townsend’s Tactics Truck and the tactical analysis seemed revolutionary at the time. Why did that show not work? Well I had already been at ITV for two years or so when we got the Premier League highlights contract. When we got that contract we had a meeting and one of the ITV executives said ‘What this must not be is Match of the Day with adverts’. And I thought, ‘That’s precisely what it is’. It shouldn’t be anything other than that. You’re offending the viewers anyway for a start by taking this great institution away from its usual place. And they’re going to have to bear the adverts as well, so for God’s sake make it easy for them and don’t change a thing. But they changed everything and made some terrible mistakes. At the time I was all for the early evening 7pm slot and for a while it worked, but there were terrible complaints from other areas of ITV, the showbiz people for example who felt that 7 o’clock was their slot. There were complaints from the advertisers who said the viewing figures weren’t big enough. My argument was that it was still early October by this point. I said, ‘See what business is like when the dark evenings come over the winter’ but they couldn’t do it. I knew who would pay when it went wrong and it was me. I went into the newsagent one morning and the fella behind the counter said ‘You’re on the front page of The Sun’. Sure enough, there was the banner headline ‘CILLA 1, DES 0’. So, we reconvened the programme at what I called ‘the new, improved time of 10.30pm’ and on we went. We made mistakes like the Tactics Truck, which poor old Andy, blameless as he was, has paid for throughout the rest of his career. We used counters on the screen rather than actual action. But we did do three seasons and funnily enough, the audience figures compared favourably to Match of the Day on the BBC before and after. Yes, but there’s a difference. You’ve seen the whole match with them. Whereas on the Premiership, the editing of the match highlights gave way to those things and, what with the adverts as well, in an hour and a half programme you may only have seen 40 minutes of actual football. There were just too many gimmicks. Being objective about it, I think Match of the Day is back in its rightful place. The Premier League would have been mad to take the highlights off the BBC just recently. They’re getting billions for the live product so why, for the sake of a few million, would you change a winning formula? Long may it continue. Does it sadden you that iconic sporting events are slowly but surely moving to subscription channels, for example Champions League football going to BT and the Open golf moving to Sky? I think it’s almost inevitable. Times have changed and attitudes have changed. What I find extraordinary is that it still costs so much to get in and watch a football match. The clubs are earning millions and millions from television and they’re paying the players too much (the mediocre ones, certainly) and they’re paying the agents far too much. Players should pay their agents, not the clubs as well. A well-known football club chairman told me that if you don’t agree to pay the agents you won’t get any players. The money is going out of the game. As for the golf, I was slightly shocked that the Open is leaving the BBC. A few years ago when the Ryder Cup went to Sky I had a blazing row with one of the European Tour officials on the steps of Moor Park Golf Club. I said ‘You’ve sold the Ryder Cup, an extraordinary event which the nation grabs, and you’re selling it down the river for a few quid’. And he tried to explain to me, as our voices grew louder and we were virtually grabbing each other’s lapels, that the money goes back into golf. I put my hands up now and say that Sky have done a fantastic job on the Ryder Cup. But have you seen the audience figures? Not very big. People are making the point at the moment that interest in golf is diminishing amongst young people. 20 years ago if you wanted to join a golf club you went on a waiting list. Now, they’re advertising for members. Putting it away on a subscription channel won’t increase interest in it, will it? Is there a sportsperson that you never got to meet who you wish you had? No, I can’t think of one. I’ve been very lucky. In my time I met Muhammad Ali quite a few times. When I was a schoolboy, you got a soccer annual for Christmas and there was Stanley Matthews on the front of one and there was Tom Finney on the front of another. And I met them both. The 11 year old boy in me couldn’t believe it. They called me by my name and shook my hand. When I passed my 11 Plus, I got a cricket bat with Len Hutton’s name on it. Some years later I met him and he asked me for my autograph, not for him, but for his grandson. Fred Perry was another giant in sport. I never saw him play but he commentated for BBC radio after he retired and I got to spend many Wimbledons with him. What a privilege. A great man. You know he was also the World Table Tennis champion? Extraordinary individual. Up until recently, you wrote an occasional column for the Telegraph and you didn’t hold back in your criticism of some sports coverage…did you ever worry that you’d be upsetting former colleagues? I tried to go out of my way not to upset former colleagues. But at the same time I didn’t want it to be too bland. I first started writing for them in 2004 and thoroughly enjoyed it. Strangely enough I ended up doing the very thing I wanted to do from the start, which was to be a sports journalist. They asked me to write about sports coverage from the point of view of someone who had done it. I felt as though I was writing with some authority. I tried to inject a little waspishness and humour into it. Most people thought it was rubbish I expect! Is there any chance that you and Christopher Matthew may do more “Touchline Tales” on Radio 4? Well, after doing three series, I got the impression that we were going over the same ground and beginning to tell the same anecdotes a bit too often and I thought ‘I don’t want to bore people’. Chris wanted to continue but we decided to call a halt at the time. It might come back some time, who knows? Your luxury item on Desert Island Discs back in the year 2000 was a drum kit…is there a secret Keith Moon in there waiting to get out?! No, it was only because I couldn’t think of anything else! Most people give it a great deal of thought but I’m afraid I didn’t. Strangely enough, I listened back to it online fairly recently and I didn’t mind it. I’ve never played the drums in my life! I think I said something about being able to hammer away on the drum kit as I went slowly crazy on the island, and nobody would hear. Sue Lawley asked you about retirement in that interview nearly 14 years ago. Do you consider yourself retired now? (pauses) Resting..! (laughs). In reality of course, I’m retired from broadcasting but not necessarily from writing. I’ve got a few other things in my mind to do when I can stir myself to do them. So, do you get to see more of your beloved Brighton & Hove Albion these days? I do go to a lot of the home games and am still enjoying it, although after two very good seasons where we nearly got promotion through the playoffs, we’re having a tough time right now. The club has fantastic facilities for the players and for the punters who watch the matches. The stadium is great and you should see the training ground they’ve got now…It’s got about 14 pitches! It’s all set up to be a Premier League club, we’ve just got to get there.